The fabric on the left is to make a lap quilt for me! It’s part of Heather Bailey’s ‘Nicey Jane’ collection. 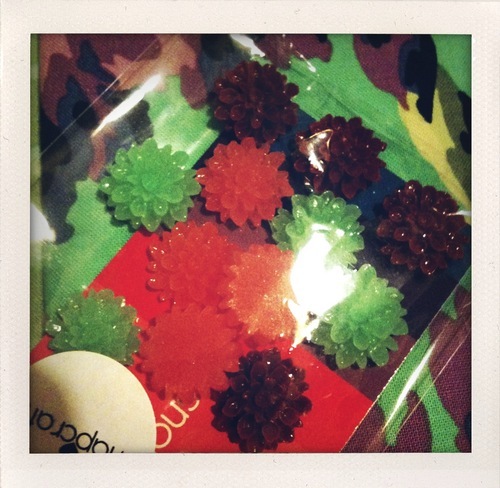 These are those acrylic flowers that are somewhat popular in the jewellery world of late. I’m waiting for some more bits then will be making myself some clips, pins and other things! Hopefully the rest arrives this week. I’m feeling crafty of late, so hopefully I’ll be updating more often. Hooray! 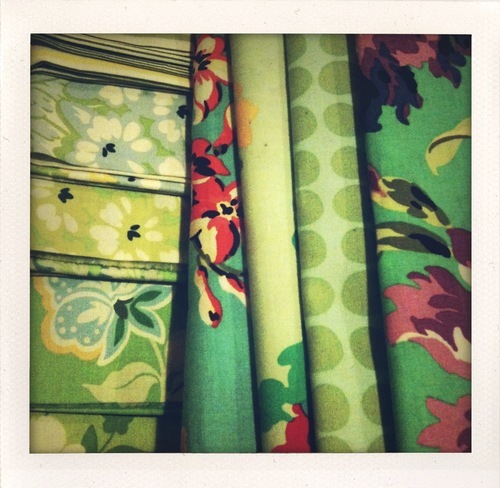 I love Heather Bailey prints – so fresh and pretty! I particularly love this range – they remind me of vintage sheets!